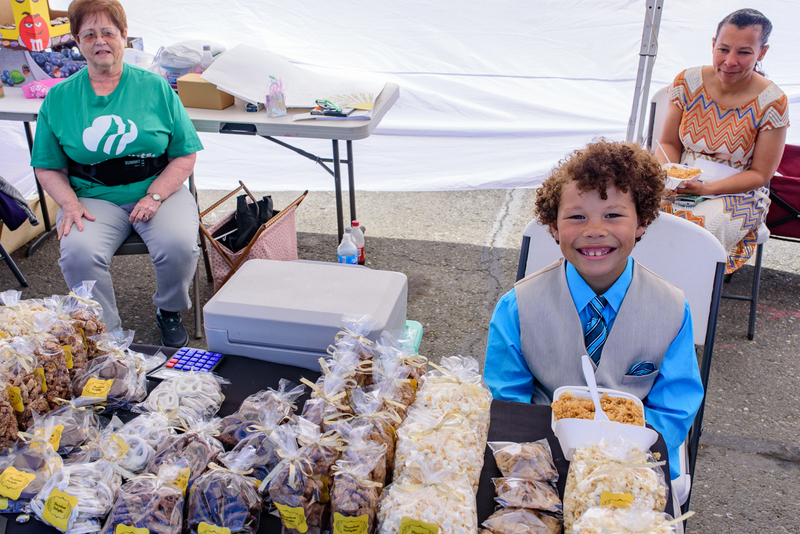 The Kid’s Market provides, free of charge, a double sized 20′ wide x 10′ long tent set-up and ready-to-go with four 4-foot tables for the use by Anchorage’s kids aged 8 to 16 to sell their handcrafted or Alaska grown products; raise funds for their kids’ group or organization by selling products, event and raffle tickets, soliciting donations or providing information to introduce their groups to others and thereby gain recognition and/or members. It is a requirement that all funds raised go to help Alaska Kids. Reservations are necessary, complete the 2018 Vendor Lease Agreement. The Anchorage Market is open Saturdays and Sundays May 11th – September 8th, 2019. Shared days and tables are allowable. No water, soda, juice, sports drinks or energy drinks may be sold in the booth. Parents are welcome to help with the table set-up and display, but the kids should do the selling. Part of the booths’ value is in teaching students how to deal with people, learn how to work/make a living and how to handle money/make change. Booth will be set-up by market staff. Each youth will have a 30″ x 4′ table and one stool or chair provided. Kids should bring product to sell, cash box and change, signs, table cover (if desired) and a battery powered calculator (if needed). A Great Attitude and really big smile helps!